Here at TFA we know that finding the right support is absolutely vital for success. We have a team of experts that can help you deliver that success year on year. We would love to hear from you and discuss how we can help. Arun’s extensive experience stretches across both commercial and not-for-profit sectors. Following a ten-year career in the private sector, he held senior fundraising positions at Marie Curie, Shelter and Age UK. 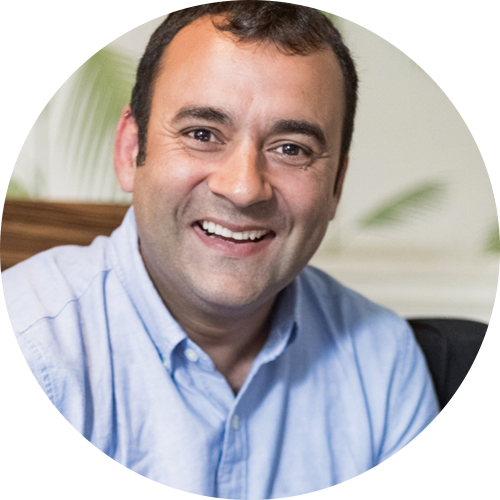 In 2013 Arun joined the ITV Corporate Responsibility team, where he helped grow their philanthropic giving and community investment. Arun set up TFA Limited in 2015 and now works closely with companies, NGO’s and Government Departments providing strategic and operational support to help them strengthen their philanthropic activity, fundraising and talent development. Justin has a commercial background and was part of the team at Oliver Wyman developing their positioning offer. His experience cuts across business strategy and positioning, through business development and communications. As comfortable interviewing architects from across the USA as he is coaching senior management in not-for-profits in the UK, Justin’s commercial clients have included M&S, Audi, Canon & Philips Electronics, while he leads on all our business strategy advice for not-for-profit clients working with the Home Office. Rebecca has specialised in the non-for-profit sector with over 10 years of experience working within fundraising. With a career involved in many successful national and international charities (British Heart Foundation, Save the Children, Marie Curie Cancer Care, The Institute of Cancer Research) she has gained a breath of knowledge of all types of fundraising. More recently Rebecca headed up the Corporate Account Management team at Save the Children where she lead and grew a team of more than 30 fundraisers. Her leadership has delivered market leading multi-million pound strategic global partnerships (Tesco, GSK, IKEA, Reckitt Benckiser) raising in excess of £35m. Whether she is leading, mentoring or motivating a teams operational or strategic delivery Rebecca is at home supporting not for profits achieve their goals. Jane has nearly twenty years’ experience of raising funds from grant-giving bodies in the not-for-profit sector. After heading up the trusts and foundation team at Addaction, she spent a decade at Farm Africa, during which time she quadrupled income from trusts and foundations and managed a team responsible for raising £7 million from UK, US and European trusts and foundations, as well as bilateral and multilateral donors. An acute attention to detail, coupled with an instinctive flair for crafting stories and summarising complex information, has seen Jane raise funds for a variety of projects: from music in prisons to forest conservation, women’s microcredit to young people’s mental health, agricultural marketing to adults with learning difficulties. Claire is a senior marketing and sales leader with over 15 years experience in the healthcare sector, and has significant board level experience as both marketing and commercial directors within market leading organisations, including BUPA and Lloyds Pharmacy. Her expertise includes marketing and communications strategy, team management and integration and strategic planning. Claire is CIM qualified and a fellow of the Chartered Management Institute. Starting in the private sector Roland moved into the charity sector in 2000. Since then he has held senior corporate and commercial fundraising roles in charity’s such as Shelter, Marie Curie, British Heart Foundation, SAAFA, Breast Cancer Campaign and Comic Relief. His roles have involved, establishing commercial partnerships with brands such as M&S, Tesco and Unilever, growing direct and online retail and securing long term strategic partnerships. Whether he is leading, mentoring or motivating team’s, Roland knows clearly how to structure and implement a successful commercial partnerships and wider fundraising strategy. Helen specialises in bid management. Her experience includes supporting corporates to win contracts and a decade at employment charity Tomorrow’s People, where she secured £6 million of public sector funding. She enjoys working closely with organisations to understand their achievements and ambitions and creating compelling bids that effectively demonstrate the excellence of their work to funders. Her ability to research and grasp new sectors rapidly has helped her to secure funds for a variety of sectors including employment, education, health, social work and justice. Eighteen years experience as a true HR generalist; my career has covered everything from graduate recruitment, compensation and benefits, huge recruitment drives to large scale redundancy consultations, through to Equity Partner and Senior Director selection, leadership development and succession. I have learnt, over the years, that people should always be at the centre of every commercial decision. My real passion will always lie with talent development, Well-being and employee engagement. Mark Clemmit has a broadcast career that started more than 30years ago. Renowned for his relaxed access all areas style he has been a regular on BBC One, BBC Sport and ITV. In addition he is one of the longest established voices on BBC Radio 5 Live and has hosted the station’s flagship 5 Live Sport programme. Now, after presenting many hundreds of TV and radio programmes, numerous live events in front of thousands of people and conducting countless high-profile interviews, he joined TFA and manages the senior leadership coaching and mentoring programme. His bespoke coaching and mentoring sessions explain how to manage the art of public speaking, overcoming fear, setting your tone, effective presentation techniques and tricks of the trade that can be applied immediately. 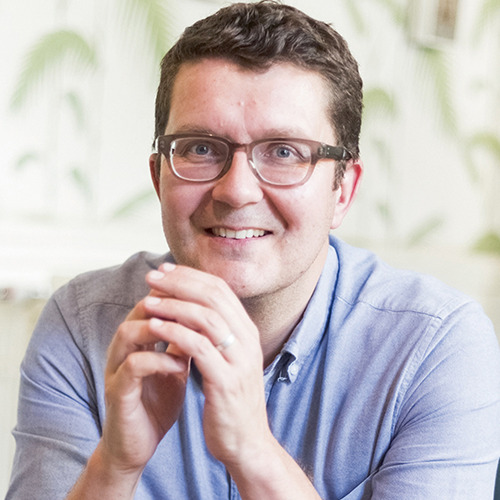 James has over 16 years’ experience in fundraising and marketing. After a number of senior fundraising roles at Shelter, James went on to be Assistant Director at Clic Sargent. James oversaw significant change projects, managed a multi-million pound expenditure budget and was responsible for £10m in annual income. As a consultant James is currently supporting Perennial, the charity helping people in horticulture, with team management, rebranding, website development and individual giving. James uses his problem solving and supporter focused approach to add value and drive growth to help clients achieve results for beneficiaries. Brian experience spans across both the public and charity sector. After starting his working career in residential social work, Brian moved into the charity sector and has held senior fundraiser roles for the last 26 years. Working for organisations such as Community Service Volunteers, Age Concern, Heart Research UK, Marie Curie, Barnsley Hospice and Candlelighters, Brian has worked and managed corporate, community and capital appeal teams. He is used to working with individuals at every level and his experience and input into fundraising has been recognised by the Institute of Fundraising in Yorkshire & Humberside when he was presented with the Outstanding Contribution to Fundraising Award earlier this year. Michelle is a strategic marketer, with a 20-year marketing and senior leadership track record. She has delivered a range of brand, customer and channel focussed campaigns for leading organisations such as Cisco, RSPCA, IPC Media and Bloomberg. Michelle always adopts a hands-on, results focused approach to delivering strategy, plans and management. Passion and skill lies in improving people, processes and technology. She provides the team with valuable insight into all aspects of international branding, media, advertising, PR and communications. Kate brings more than 18 years marketing experience on a wide range of both B2B and consumer campaigns at the London Philharmonic Orchestra, IPC Media, McGraw-Hill and Bloomberg. She provides the team with valuable insight into all aspects of international branding, media, advertising, PR, communications, event management and partnership marketing. I’m an accomplished freelance writer with many years of experience in journalism, public relations, copywriting, editing and proofreading. I write for a range of clients including multinationals, charities, organisations, companies, small businesses and individuals. But all of my work has one common theme – people. I love to speak to people, find out about their lives and then turn their stories into clear, concise and engaging content that can be shared with and understood by a wider audience. Good organisation is an essential part of my work, as is the ability to work well under pressure, meet strict deadlines and forge good working relationships with people at all levels and from all backgrounds. Jack recently left Chelmsford College where he was studying a diploma in Business Studies. He has always been keen to learn about business, especially how organisations from different sectors work together. Having the opportunity to work with TFA Ltd is a great opportunity to understand how corporate and not for profit sectors work successfully together and how they can work smarter to achieve their internal and external objectives. I am keen to learn about and support those who are vulnerable and disadvantaged, especially those with mental health challenges. Jack also has a real passion for music and sport and recently completed his Level 1 FA Coaching Badge in football.